Top NASA officials are meeting today (April 19) to decide on an official launch date for the space shuttle Endeavour's final mission later this month. Endeavour is slated to blast off with six astronauts bound for the International Space Station to deliver a $2 billion particle physics experiment and a load of spare supplies. The mission will be commanded by astronaut Mark Kelly, husband of wounded Congresswoman Gabrielle Giffords, D-Ariz., who is recovering after being shot in January outside a Tucson grocery store. 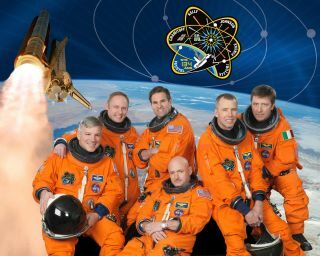 "Once Endeavour is in space, managers will evaluate the shuttle's performance and other mission objectives and then decide whether to add another day or two to the flight to support operations aboard the International Space Station," according to a NASA statement. NASA plans to hold a press conference today following the Flight Readiness Review. After Endeavour's mission, NASA plans only one more shuttle flight – the launch of shuttle Atlantis in June – before its three orbiters are retired for good.